Sail Confidently and Calmly in All Conditions. 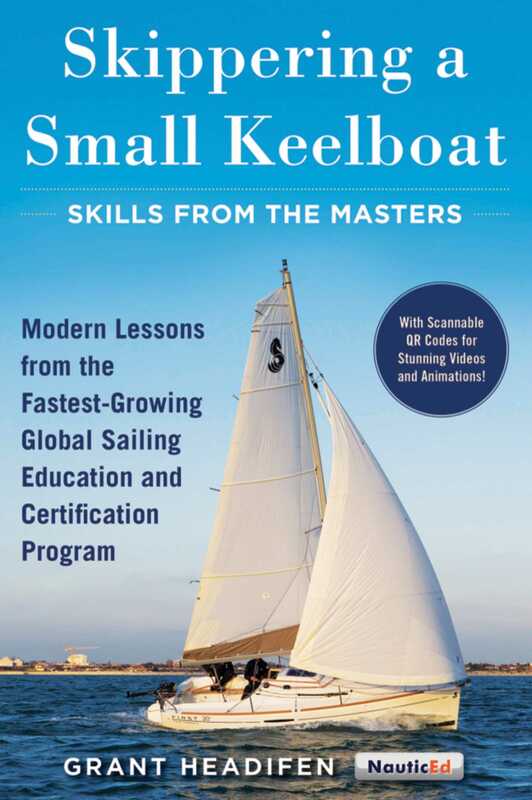 Sail a small keelboat up to twenty-five feet with ease in all nearshore conditions with this unique bookand start a foundation on which you can build a sailing résumé that will give you the credentials to charter and skipper a boat in the Caribbeanor anywhere in the world. Grant Headifen and the experts at NauticEd have certified thousands of sailors for bareboat skippering in some of the most alluring seas of the world. NauticEd’s resume-building system is accepted by yacht charter companies worldwide. Skippering a Small Keelboat offers everything you need to knowand with its unique, scannable QR codes providing clear instructional videos and animations, it is the next best thing to being on the water with an instructor at your side. It brings the book to life. The only thing missing is the water. Complete, concise, and based on Grant Headifen’s grasp of how to teach sailing quickly and comprehensively, here are lessons on weather and sea conditions, rigging, anchoring, reading tides and currents, rules of the nautical road, safe and confident dockingand so much more. Skyhorse Publishing, as well as our Sports Publishing imprint, is proud to publish a broad range of books for readers interested in sportsbooks about baseball, pro football, college football, pro and college basketball, hockey, or soccer, we have a book about your sport or your team.